Speech Language Pathologists — Talk Time for Kids, Inc.
Rachel graduated from the University of Georgia with a Bachelor’s Degree in Communication Sciences and Disorders and a Master’s of Education in Speech-Language Pathology. As a graduate clinician, Rachel gained invaluable experience as an intern in both elementary education and medical rehabilitation settings and has served a variety pediatric and adult client populations including, but not limited to Autism Spectrum Disorder, Auditory Processing Disorder, Dyslexia, Dyscalculia, Attention-Deficit Disorder, Sensory Processing Disorder, Social Anxiety Disorder, Selective Mutism, Oral-Motor Dysfunction, and Childhood Apraxia of Speech. Rachel is a certified provider of several evidence-based programs including Integrated Listening Systems (iLs), Interactive Metronome (IM), and Fast ForWord and Reading Assistant (Scientific Learning Corporation). She has training in several Lindamood-Bell programs (i.e., Seeing Stars, Visualizing & Verbalizing, and On Cloud 9), the Kaufman Speech-to-Language Protocol for Childhood Apraxia of Speech, /R/ Made Simple, Reading with TLC: Lively Letters and Sight words You Can See, and the Barton Reading and Spelling System. Rachel strives to design and implement creative, innovative, and effective interventions that are tailored specifically to the needs of her clients and their families. She works to give families the resources, education, and easy-to-implement home programs that they can use to maximize treatment progress. She looks for creative ways to combine the best aspects of various treatment approaches, tools, and strategies to provide the best possible treatment for each and every client. 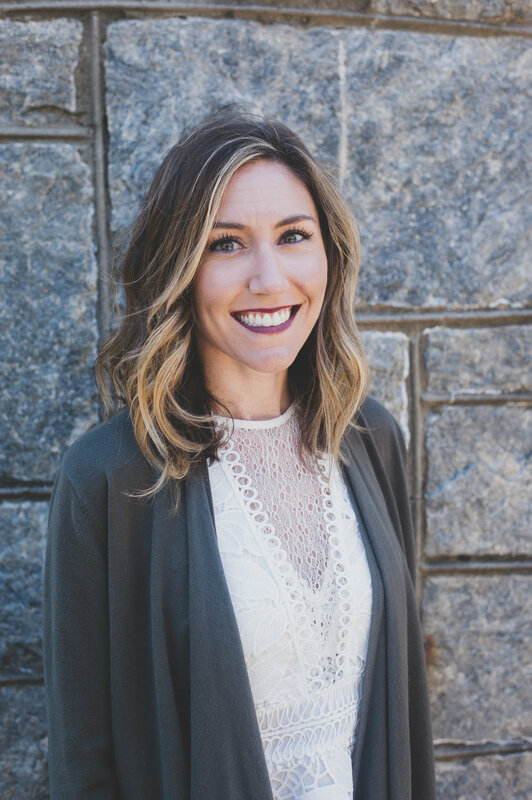 Dedicated to helping her clients reach full potential in the home, social, and educational environments, Rachel searches for every opportunity to expand her clinical knowledge and refine treatment skills through research and continuing education. She recently completed numerous courses in /r/ and lisp remediation, word retrieval interventions, dyslexia, teaching foundational and complex literacy skills to various populations, increasing capabilities of those with attention, auditory processing, and spectrum disorders, effective practices for early childhood classrooms, family-centered intervention for late-talkers, and "Thinking with a Visual Brain in an Auditory World." When not treating or planning for her clients, Rachel enjoys reading, all types of music/ concerts, binge-watching Netflix or HBO series, relaxing with her fiance, friends, and family, or teaching new tricks to Remi, her rambunctious border collie mix. Jenny attended the University of Georgia where she received her Bachelor of Science degree in Communication Sciences and Disorders. She earned her Masters of Science degree in Speech-Language Pathology at Armstrong State University in Savannah, Georgia. Jenny's professional experience includes working with adults, adolescents, and children in educational, medical and in private clinic settings. Jenny has experience helping children with communication disorders related to Autism Spectrum Disorder, apraxia of speech, down syndrome, cerebral palsy, ADHD, and other developmental disabilities. Her areas of speciality include: articulation/phonological disorders, stuttering/fluency disorders, receptive/expressive language disorders, and augmentative alternative communication. Jenny enjoys including family and caregivers every step of the way through treatment, as she recognizes the importance of a family-centered approach in acquiring, maintaining and generalizing communication skills. Jenny is also a registered yoga teacher and certified pilates instructor. She loves to incorporate simple yoga movements and breathing exercises to therapy whenever appropriate and beneficial for the child! Jenny holds a Georgia License in Speech-Language Pathology and maintains her Certificate of Clinical Competence from the American Speech-Language and Hearing Association (ASHA).